Eating a healthy and well-rounded diet can be tough - especially when your running from one kid's soccer to another kids hockey to swimming and play dates, class performances and the list goes on. I find that even when I had just one kid, it was easier to plan and think through our food choices for the coming days. Getting enough sources of fruit and vegetables, getting enough vitamins, fibre, protein - it's all hard to track, and all are super important for our digestion and overall health. I think all of you know how much I love a good organic, sugar-free, non-GMO product and you guys - I have found the perfect answer for all you who are lacking on that all-important nutrient - FIBRE! Fibre should be important to you for many reasons. Firstly, fibre slows down the rate that sugar is digested in your system, so if you eat a full fibre vegetable such as beans and whole grains, the sugar in those foods is digested slower, keeping your blood glucose levels from rising too fast. Secondly, it also helps move things along in your digestive tract (you know what I mean...) which helps prevent colon cancer and the list of benefits goes on. I have quickly fallen in love with Greeniche and all of the natural, pure and healthy products they put on the market, and while this is a newer one for me it is an amazing find. I have been using various Greeniche products for over six months and I am truly and honestly impressed with the health benefits they provide, as well as the taste of their edible products. 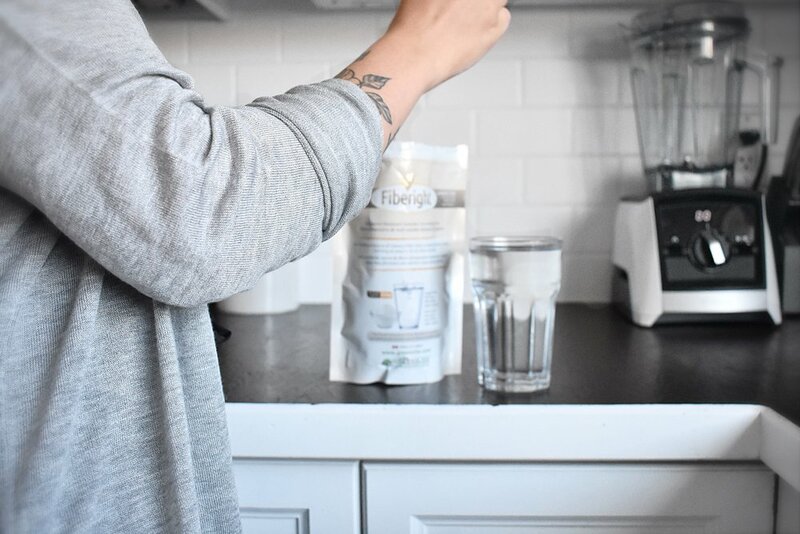 Fiberight is a powdered product which had me worried at first, thinking it would taste chalky or cardboardy like I have found with different products in the past - you guys, it dissolves so well that you can't even tell it's in there. Fiberight is sugar-free, fat-free, non-GMO, Halal & Kosher and has 9 grams of fibre in every 2 teaspoons. 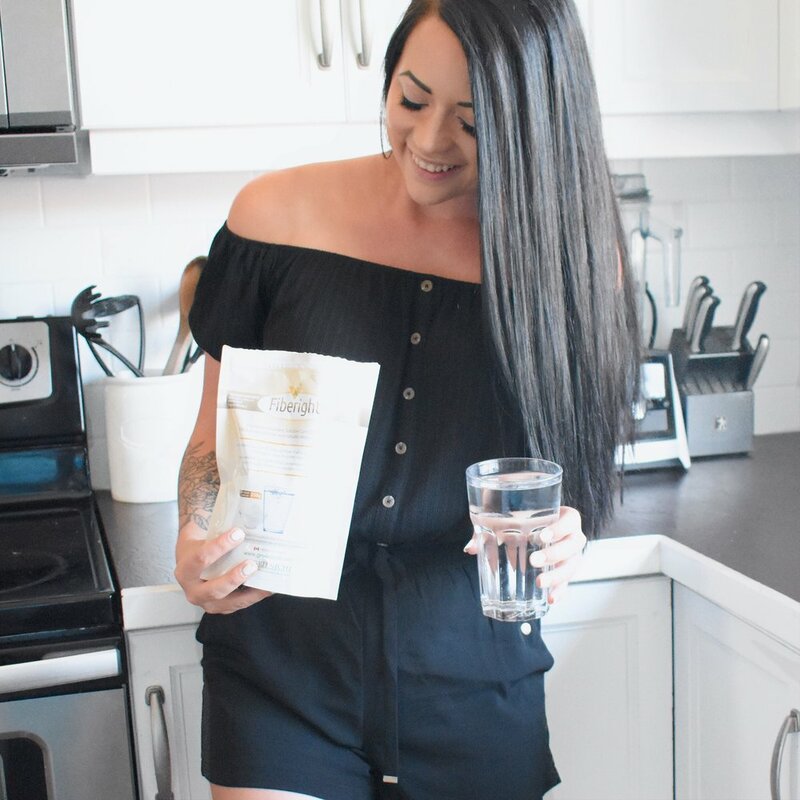 Also, if the thought of putting it in water somehow turns you off, Fiberight is stable in heat, acid, shear and when frozen & thawed and it maintains its fibre content, so you are able to cook and bake with it and retain all of its amazing benefits! If you are a busy mama like me, or just an overall busy person who does not have a lifestyle where you can track everything you eat, have digestive difficulties or just want to maintain overall health, this product is for you! Use the code TwoChunks for 10% off your oder! I will be working on a few new healthy recipes and workouts I've been trying at home so stay tuned for that as well! My focus this year is homeschooling Jack (yes, I'm terrified, can you tell?) and becoming a healthier and happier me, so come along with me on this journey and start by taking care of your inside as well as your outside. If you have any requests of what you want to see workout wise, food & mental health comment below!